Remote access software is an essential tool for the mobile workforce. It can be especially useful for small organizations that may not have staff onsite to perform certain tasks, such as an IT person who needs to solve a network problem. And oftentimes, employees using remote access are the company's knowledge workers, who are dealing with the company’s sensitive information. However, as vital as remote access has become, it also presents serious security risks, especially if I give remote access to my computer. If there are any vulnerabilities in the software, a simple breach in your system can give a hacker free and easy entrance into a network and all of its data. In this article, I will discuss some of the potential risks if I allow remote access to my computer. It is also good for you to know on how to prevent these dangers that could also happen to you. Many home computers do not have a strong antiviruses and antimalware programs like Comodo Anti-virus and mostly are not updated. Multiple members of the family might be using the same PC and it's hard to control websites they visit. Most of the home users have old and outdated computers like ours, so they will no longer receive security updates and will be vulnerable to attacks. Home machines have very weak passwords that can be easily guessed. An automatic update can sometimes be annoying and that is why users usually turn it off without realizing the potential risks of not updating. Users might click on phishing sites when I give remote access to my computer without realizing that it could carry some malware or virus infections. For accessibility, I have browsers configured to remember logins and passwords. This can be a problem when accessing corporate cloud-based services. If a hacker gains entry to the workstation or a user inadvertently downloads some malware, those logins can be stolen. Another potential risk if I give remote access to my computer is the mistake of storing company passwords on workstations in unsecured MS Word, Excel or Text files. These files will make it an easy hack for cyber criminals. 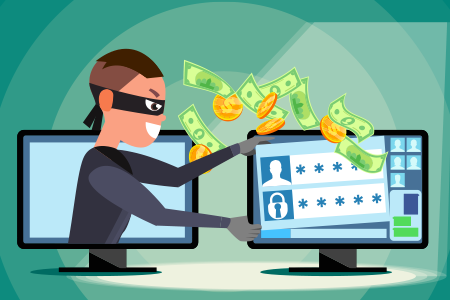 At some point, most of the SMBs are too trusting and don't immediately delete access privileges of old employees who have left the company leaving systems vulnerable. Those old employees can still access information from the company, a common problem as the same when I give remote access to my computer. How do I protect myself if I give remote access to my computer? A vulnerable home computer can serve as a gateway for cybercriminals to attack my network, either directly or through malware. Like in our company, everyone must have policies in place to limit such access and protect ourselves from criminal intrusions. Make sure that the network is secure by having a up-to-date firewalls,an effective antivirus and antimalware program like Comodo Anti-virus, and intrusion detection systems to alert IT of attempted unauthorized access. In this way, I can reduce risks If I give remote access to my computer. Restrict remote access to only those staff members that need it and limit the type of information that can be accessed remotely. This is another alternative way to secure the system if I give remote access to my computer. Require that home computers used to access the company network are using a supported operating system and turn on the updates. This is one way to protect the system if I give remote access to my computer. Implement a strong password on your computer and avoid sharing it with anyone else for any reason. It would be hard to compromise the system if I’m able to setup a strong password even though I give remote access to my computer. Make sure that you don't store passwords on your computer. Immediately remove the remote access privileges of separated employees. Obviously, it is very risky if I give remote access to my computer. But by having a strong credentials, particularly multi-factor authentication options, I am pretty sure that risks are manageable. The identity of anyone remotely accessing should be verified, and then verified again, in order to keep the devices and the data secured during remote interaction. Download a copy of Comodo Anti-virus for your protection.